I didn’t know who was real and who wasn’t. It seemed like everyone I noticed was watching me. It was no way to live. The next time someone tells you have too many books, tell them you are doing it for your health. Not that this isn’t something every voracious reader doesn’t already know, but there are those that scoff. Who are those people, anyway??! But it’s true. 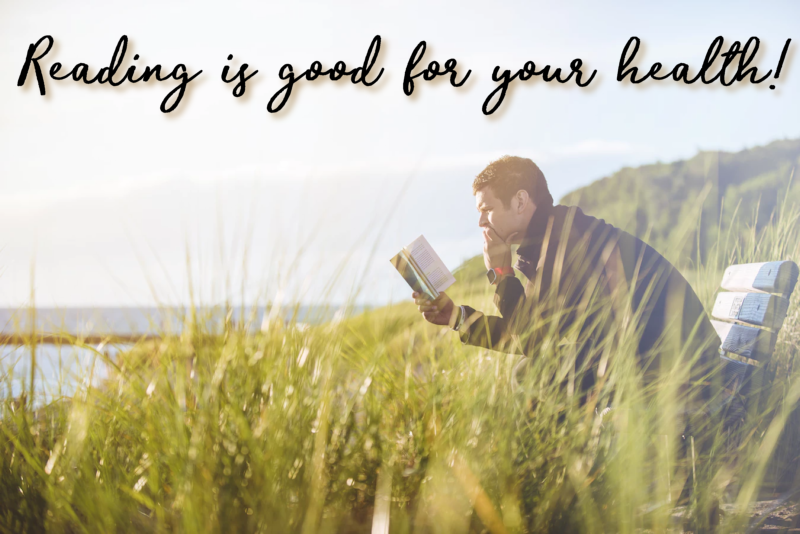 All kinds of studies have shown that reading is good for you. One of the things that has been studied is whether or not reading fiction can increase the reader’s ability to feel empathy for and greater understand others. Bottom line… the next time someone gives you hell about your book “obsession,” tell them it’s prescribed!